Motivated to study geology through an interest in the natural environment, Danielle Lindsay of Newtown, Wellington is studying for Honours in geology at Victoria University of Wellington. She will process campaign GPS data along a transect through Arthur’s Pass across the Southern Alps. 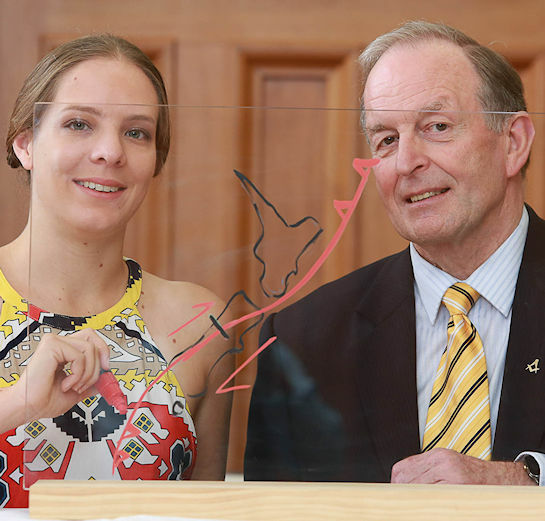 Her aim is to create a velocity field that covers the area where the Hope fault forks from the Alpine fault. This study feeds into investigations of the pre-quake conditions of the Alpine fault to better understand and prepare for large magnitude earthquakes. She plans to continue in academia, contributing to the world around her. A professional dancer, dance teacher and administrator with an Advanced Diploma in Dance Performance and a major in contemporary dance, Danielle returned to tertiary education wanting to understand more about climate change and how it affects the environment and society. Two summer scholarships have stimulated Danielle’s interest in seismology. She has undertaken four weeks of seismic field work imaging the Alpine Fault below the Whataroa Valley on the West Coast of the South Island, and last summer processed marine geophysical data with GNS Science. Danielle’s community involvement through dance spans a decade during which she has taught dance to a range of students from pre-schoolers to adults. The highlight of her career was to perform and choreograph in “Wake Up Tomorrow”, a show involving young adults aged 18to 25 who have intellectual disabilities. The show premiered at Circa Theatre and won six awards in the Wellington Fringe Festival, including “Best in Fringe 2015”. While at university Danielle has been a class representative, an active member of the VUW Geology Society, and has prepared material for outreach programmes. 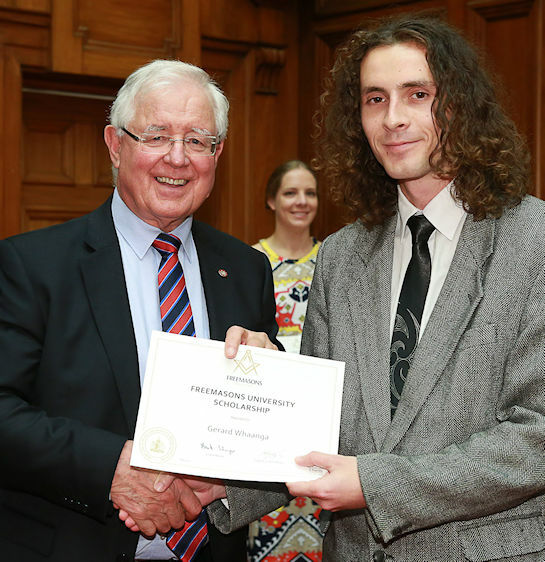 Initially a student at Wellington High School, Gerard Whaanga of Houghton Bay, Wellington is now a working as a teacher’s aide there while finishing his Bachelor of Arts at Victoria University of Wellington. He is majoring in history and minoring in geography. Gerard is passionate about teaching and learning and looks forward to completing a Graduate Diploma of Teaching and becoming a secondary school history, geography and mathematics teacher. His key objective is to promote academic achievement in young Māori students and encourage them to take on the challenge of tertiary education. As a teacher’s aide Gerard works with a variety of students to support their specific learning needs. He believes pastoral care of students is an essential element of secondary school education. In particular, he believes that positive relationships with students and their whānau are key to supporting students as they navigate an academic pathway to a career they are passionate about. Outside the classroom, Gerard mentors students struggling with academic and social pressures within his community. He also actively supports the school’s skateboarding community, celebrating the achievements of students who are not often recognised. A keen skateboarder, Gerard organised a skateboarding competition that has evolved into a yearly Skate Jam for junior and senior students as part of Wellington High School’s athletics day. Gerard has also worked as a skateboarding tutor for children aged 5 to 12 at the Kilbirnie Recreation Centre, where he planned lessons for varying skill levels, provided a safe environment and encouraged the children to push themselves outside their comfort zones. 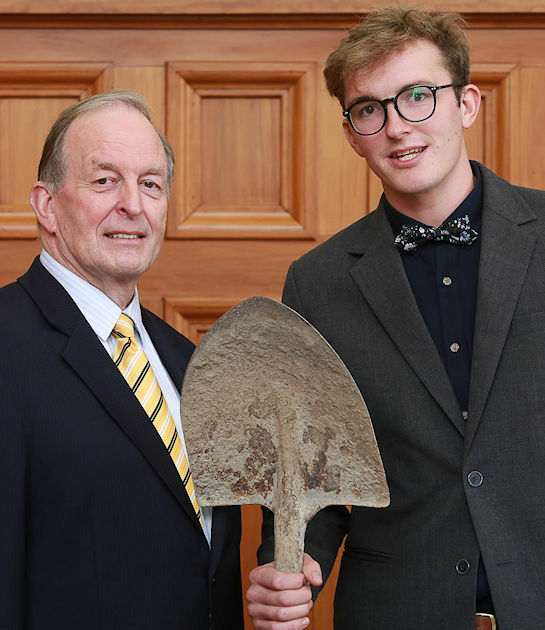 Getting his hands dirty is part of Steffan Kraberger’s life, whether in the course of his study, working to fund his studies, or doing voluntary work in his hometown of Akaroa. Steffan is completing a three-year, part-time Master of Landscape Architecture at Lincoln University with a topical thesis researching how we can make the Port Hills more resilient to fire. After the tragic fires on Christchurch’s Port Hills, Steffan will be investigating how design and planning-based strategies for fire resilience can work in with the post-fire conditions and risks at the Port Hills. Steffan will also look at the expectations and requirements of the varying landowners and stakeholders in the area. After graduating from Victoria University of Wellington with a Bachelor of Architectural Studies, majoring in landscape architecture, Steffan headed overseas on a three-year working holiday. During this time, he worked in Chile propagating cacti and aloe vera, and in France at the Monet Garden in Giverny and with Taktyk, a landscape-urbanism design firm in Paris. Returning to Akaroa, Steffan started his own company subcontracting his landscape design services to larger firms and practitioners to fund his Masters study. Steffan has volunteered with Akaroa’s Garden of Tane scenic reserve and, as secretary of its Reserve Management Committee, has led local school children in working bees and inspired their interest in native trees. He has also carried out practical work upgrading walking tracks and planting native trees within the reserve and throughout Banks Peninsula. As for the future, expect to see Steffan’s company WOOD Ltd Landscape Alternatives further develop as he puts his energy and resources into growing his business and providing landscape architectural services to improve the environment.